The 5 Core Motivations for Sharing. While the act of sharing is not new, the rise of social media has created a fundamental shift in the way consumers share content and ideas. Brands need to understand what motivates advocacy and empower their customers to market for them. 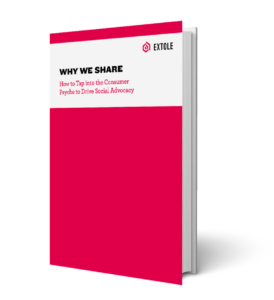 Learn the 5 core motivations for sharing and how to motivate customers to become advocates on behalf of brands.